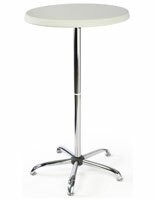 This Cocktail Bar Highboy Table Comfortably Seats Or Stands Multiple Guests Or Patrons! 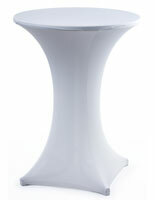 This Modular Banquet Furniture Is Great For Everyday Or Occasional/Rental Use! 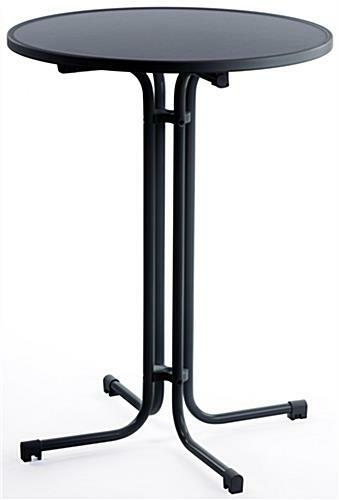 Versatile fixture is sturdy enough for day to day restaurant or banquet hall use but easily portable for events. 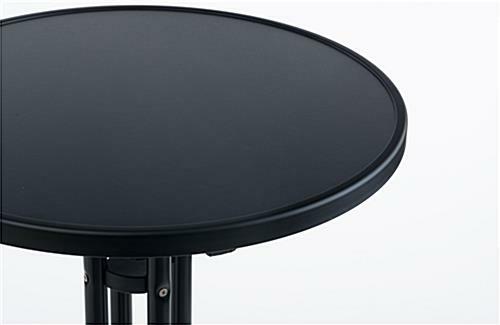 Black finish tables with wide tops can be used with either traditional cloth or stretch tablecovers. 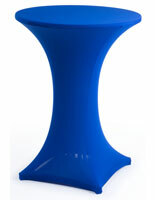 Lightweight stands comfortably accommodate several guests or patrons. This cocktail bar highboy table features a 31-1/2" diameter MDF top and folding 42-1/4" base that snap together to create a sturdy, stable banquet or restaurant stand. 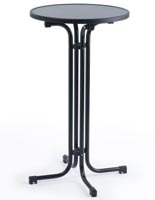 This portable hospitality fixture is perfect for everyday use in bars, restaurants and nightclubs and is also great when used as special event or rental banquet furniture. 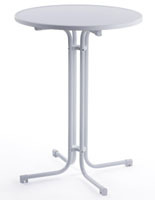 The wide-top folding stand, cocktail bar highboy table will comfortably seat or stand several people. This versatile piece of banquet furniture can coordinate with any environment because it can be used with either stretch tablecovers or traditional tablecloths. 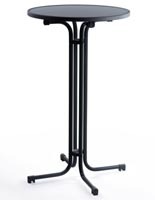 This black finish cocktail bar highboy table, also known as a collapsible 2-piece banquet stand, comes in multiple sizes and colors and can be ordered as a full kit with choice of tablecover (see "related items" for details).